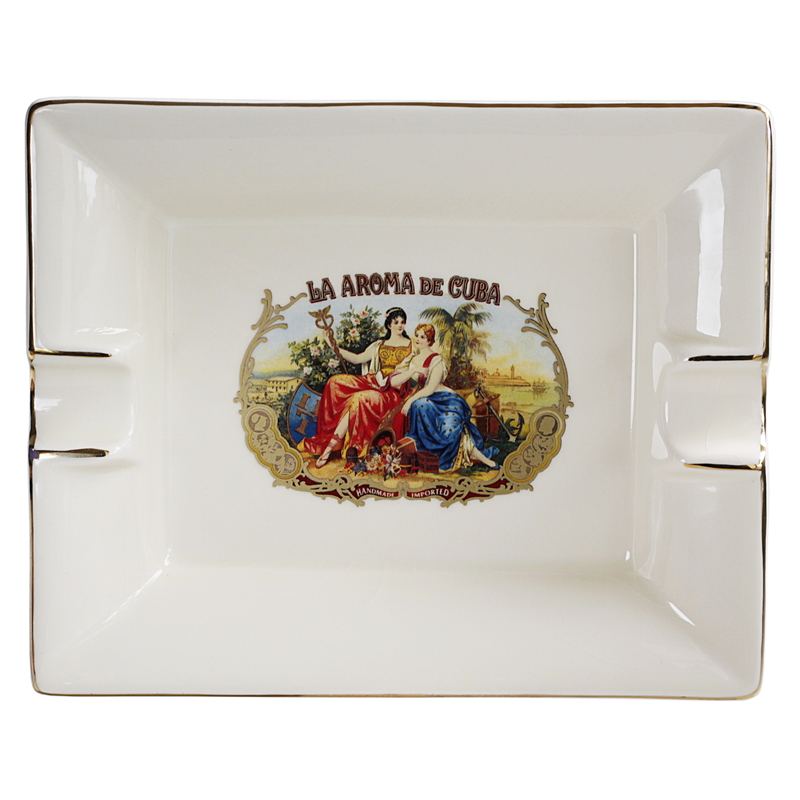 Keep ashes off the floor and table with this ashtray from Ashton. Made from glossy white cream ceramic, this rectangular ashtray is designed to add a touch of class to your smoking experience. 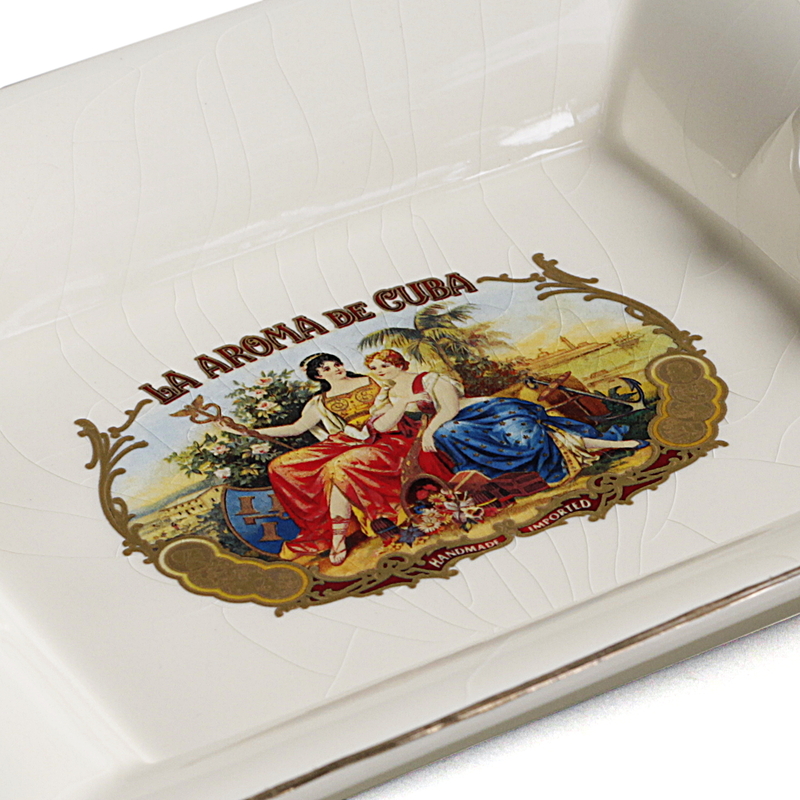 The dish features a La Aroma De Cuba printed design in the center and golden colored accents around the edges. It securely holds up to two cigars at a time so you and a friend can enjoy your favorite cigars together.